HOUSTON – The Hurricane Harvey Relief Fund is disbursing $42.3 million to 27 carefully vetted, local nonprofit organizations to provide additional aid and services to Hurricane Harvey flood victims in the Houston area. This fourth round of grants brings the total amount distributed by the fund to $108.8 million, fund co-founders Houston Mayor Sylvester Turner and Harris County Judge Ed Emmett said. This round of funding is its largest yet and seeks to support those who are still struggling to recover from the storm more than six months after it hit the coast of Texas. Since August, the fund has supported 123 local nonprofit organizations that are focused on providing a wide-variety of support to those who were affected by Hurricane Harvey. Grants complement federal and state funds, and the work of volunteers, to provide flood victims with much needed financial, health, legal and other support. Home Repair Services — $31.6 million in grants is being disbursed to eight organizations to support continued home repair efforts. For example, a grant will be given to the LISC Collaborative, which is composed of five organizations that will work to repair homes across Houston. Funded projects also include volunteer initiatives, such as 4B Disaster Response Network’s Home Repair Blitz that will repair 110 homes in southeast Harris County this month. Behavioral Health Services — $6 million in grants is being disbursed to six organizations for behavioral health services. Research clearly shows that after a major natural disaster, behavioral health problems caused by all of the stressors of the disaster manifest themselves over a period of two years. The fund is supporting best practices by investing in the integration of behavioral health into primary care in our largest hospital systems, as well as bringing behavioral health services to local area schools, to address this long-term need following the storm. Legal Services — $4.3 million in grants is being disbursed to six organizations to help provide legal services. The grants will continue to help homeowners and renters facing legal issues related to Harvey. Organizations will work on cases that span from consumer protection issues, such as landlord/tenant issues and breach of contract, to title clearance and FEMA appeals. Additionally, the nonprofit organization Disability Rights Texas will focus on issues directly related to assisting individuals with disabilities, including discrimination based on disability, accommodations from service providers and access to educational services. Homelessness Prevention — The fund is making a grant to the Houston Coalition for the Homeless to provide case management and longer-term housing to 550 households at risk of homelessness after Hurricane Harvey. The residents had nowhere to go from the emergency disaster shelters and were not eligible for FEMA assistance. This funding provides an opportunity for vulnerable Houston-area residents to land in more stable living situations than before the storm. 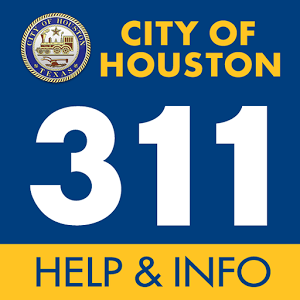 For more information regarding these services, flood victims should call 2-1-1. Thanks to the outpouring of charitable donations, the Hurricane Harvey Relief Fund has made a powerful impact on thousands of lives and will continue to do so as grantees progress their funded initiatives. With this latest round of funding, the vast majority of the funds collected have been disbursed to support those in the Houston area impacted by Harvey. The remaining funds will be designated for longer-term unmet needs as the fund wraps up over the coming months. Greater Houston Community Foundation is receiving reports from grantees and will continue to provide information about the impact and beneficiaries of the Hurricane Harvey Relief Fund. For future updates regarding HHRF, visit www.ghcf.org. There, you can find lists of grantees, maps of areas served, and much more.